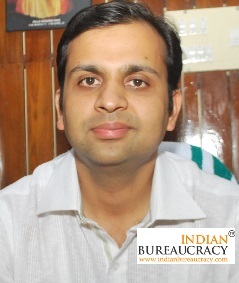 Shri Saurabh Jain IAS (Kerala 2002) has been given extension of Central deputation tenure as Additional Commissioner (Admn.) in Kendriya Vidyalaya Sangathan for a period upto 01.09.2020 (i.e. a total tenure of 07 years away from the cadre). Indian Bureaucracy Dot Com wishes Shri Saurabh Jain the very best.